French skywatcher Jean-Pierre Brahic took this photo of the violent solar flare from the sunspot 1302 on the sun’s surface on Sept. 22, 2011. Earth is superimposed for scale. 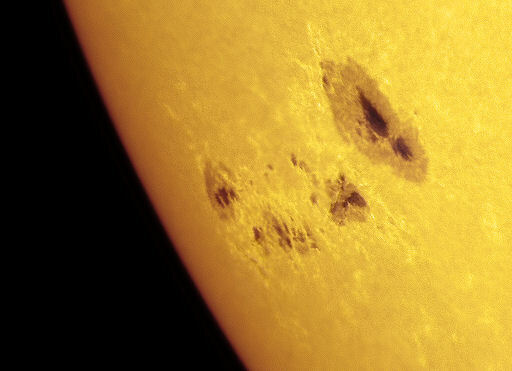 A sunspot is a blemish on the sun caused by intense magnetic activity. The new photo, captured on Sept. 22 by skywatcher Jean-Pierre Brahic, shows solar plasma magnetically hanging above the sun’s surface after the Sunspot 1302 unleashed an X-class solar flare. The image includes an inset of Earth for a size comparison.